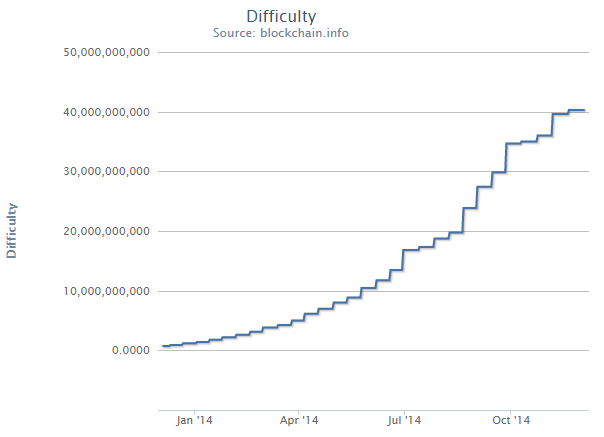 Bitcoin mining difficulty has decreased for the first time in two years. The minor 0.62% drop was observed yesterday and currently stands at 40,007,470,271, down from 40,300,030,238. The difficulty level crossed the 40,000,000,000 mark late last month, peaking after several consecutive quarters of rapid growth. The 1,000,000,000 milestone was passed last December, while the last difficulty drop was recorded back in late 2012. Mining difficulty determines how difficult it is to hash a new block and varies based on the amount of computing power used by miners on the bitcoin network. Bitcoin’s growing popularity has attracted more computing power to the network, meaning that the difficulty has been steadily increasing for some time. However, stagnant pricing has caused a reduction in the hash rate over the past few weeks, resulting in the slight difficulty decrease. The estimated next difficulty level is 39,884,219,890, or -0.31%. The sheer size of the bitcoin network ensures resilience and stability, but the hash rate has been stagnant for weeks and started declining in the first days of December. 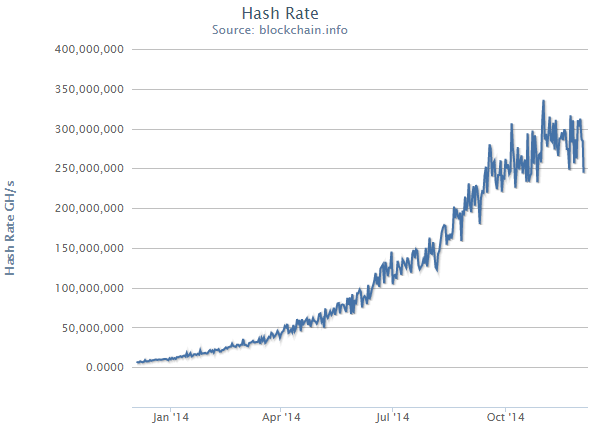 The hash rate at press time, according to Blockchain, was 244,405,696 GH/s, but in recent days it has hovered in the 280-290-billion GH/s range. The network is still oversized given the average daily volume of bitcoin transactions, so stability and security are not a concern. The drop in difficulty and hash rate was expected due to depressed bitcoin prices. 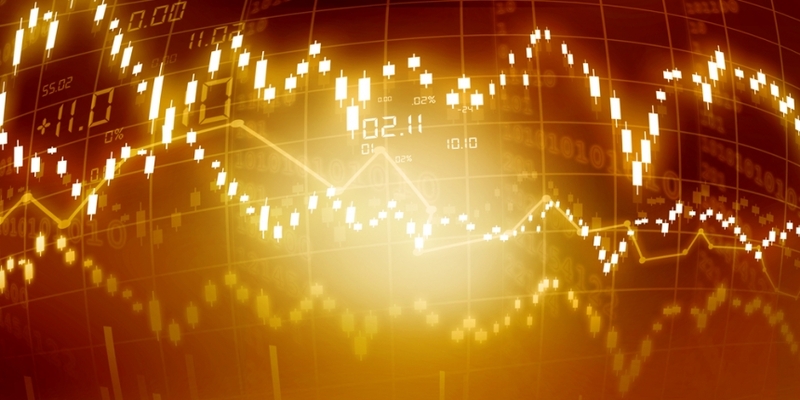 CoinDesk examined the issue in a feature three months ago, concluding that difficulty could reverse if prices do not recover. The advent of more efficient ASICs, coupled with low bitcoin prices, has obviously rendered a lot of mining hardware obsolete, prompting operators to pull the plug on older, less efficient facilities. Faster chips and cheaper electricity are slowing down the decline, but they cannot stop it unless the price starts moving up – effectively, the market regulates miners’ behaviour. In layman’s terms, with bitcoin prices in the sub-$400 range, mining at a difficulty level of 40,000,000,000-plus simply does not make economic sense with current-generation hardware. The network is reaching equilibrium and one of two things need to happen in order to reverse the negative output trend – the bitcoin price needs to go up or the cost of mining needs to go down. Bitcoin mining is a capital-intensive industry with very fast turnover. Few miners can afford to hold freshly mined coins for long, hence they are usually sold at market price, even if this means the operators incurs a small loss. Profit simply has to be reinvested quickly in order to maintain competitiveness. Should the price recover, we can expect more investment in additional capacity and, if the gain is big enough, currently uncompetitive hardware could be put back to productive use. However, it is nearly impossible to predict bitcoin price trends and this factor remains an unknown. As far as hardware goes, stagnation breeds increased competitiveness, as miners and ASIC designers have to make more with less. That is to say, with less investment and fewer people willing to pre-order new hardware, development will inevitably slow down. This favours bigger and better-funded hardware makers capable of investing in R&D without having to rely on the pre-order model. Until now, ASIC designers tended to use mature nodes for their designs, enabling easier development, cheaper manufacturing and faster time-to-market. However, strong competition and over-investment have prompted many miners to announce 20nm and 16nm FinFET nodes this year. This is the first time bitcoin ASICs have had to transition to completely new nodes rather than use proven and mature manufacturing nodes like 28nm. Developing, taping out and manufacturing chips for these cutting edge nodes is more capital intensive than for mature nodes (such as 28nm, 65nm etc). So, unless prices and demand for new hardware go up, smaller outfits will have a hard time securing enough funding to transition to new FinFET nodes. Due to a number of technical and economic reasons, the planar 20nm node will be skipped by most chipmakers, including ASIC designers. This trend obviously favours bigger manufacturers, who have the resources to design, tapeout and order FinFET parts. The first products based on FinFET nodes are expected in the first half of the year, but, in an industry plagued by delays, it is difficult to ascertain exact timeframes for new ASIC rollouts. If all goes well, we should see the first ASIC’s manufactured on TSMC’s 16nm FinFET node sometime in the second quarter of 2015, followed by 14nm FinFET designs manufactured by the Samsung-GlobalFoundries alliance roughly a quarter later. These costly next-generation designs, using the latest non-planar manufacturing processes, could in theory deliver a quantum leap in performance and power efficiency, sparking the next round in the bitcoin ASIC arms race. However, in the process they could also spell the end of many small bitcoin hardware makers and render yet more hardware obsolete.